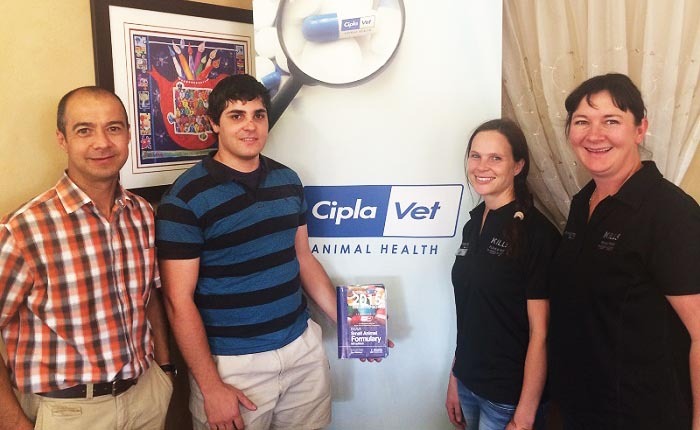 In 2014 the SAVF started a student book fund and donated a drug dosage book to final year students with the help of the British Small Animal Veterinary Association and CiplaVet. 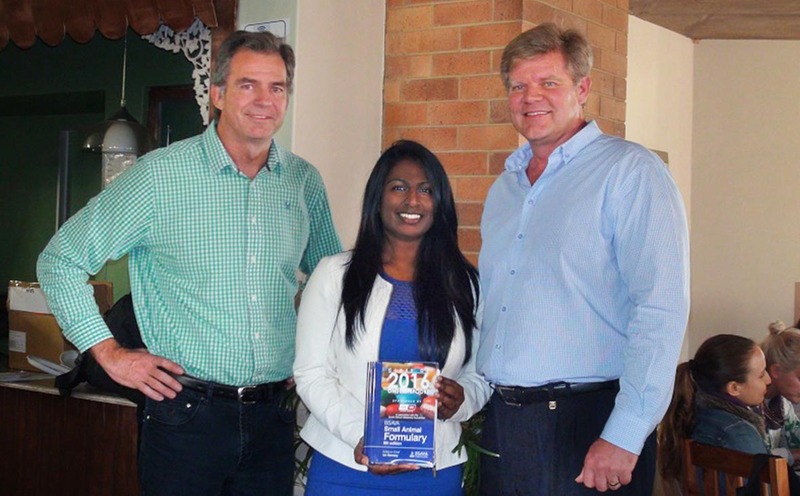 2018: Two recipient students with Dr Viljoen on the left, next to him Yolande Schoeman, Ascendis Regional Sales Representative and on the right Colin Deacon, the Ascendis National Sales Manager. 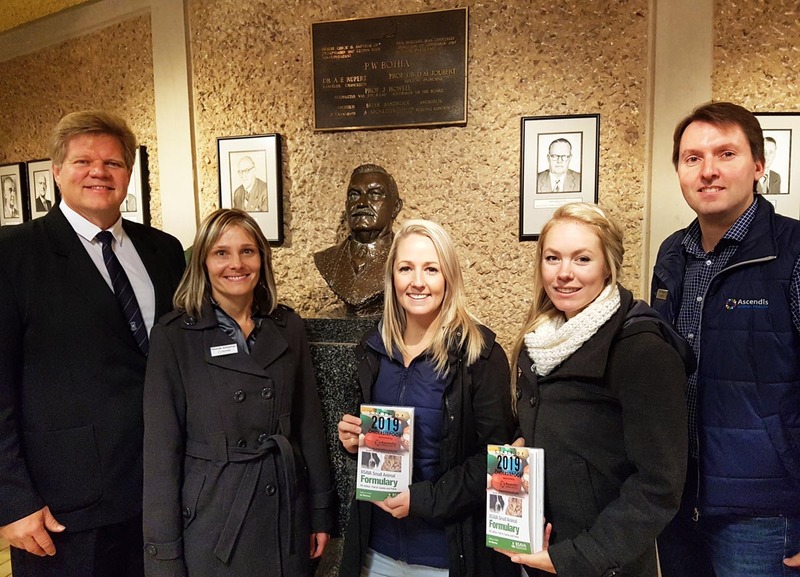 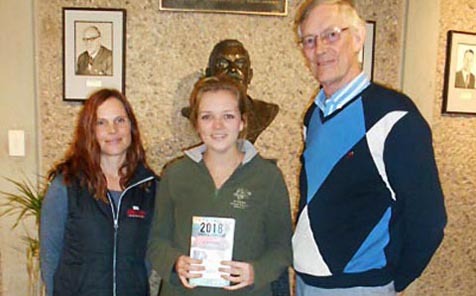 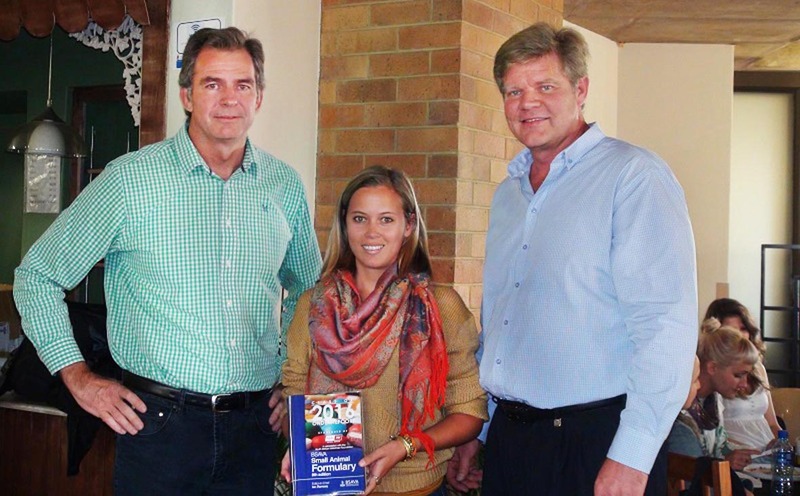 2015: Dr Craig Mincher, managing director of Ciplavet on the left and Dr Joubert Viljoen, chairman of the SAVF, on the right with student receiving her book. 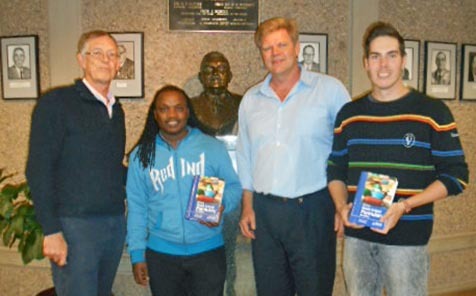 2014: Left to right: Dr Patrick Page, representing the SAVF, and the first student, Mr Wim Janson with a copy of the BSAVA Small Animal Formulary whilst the CiplaVet representatives Ms Debbie Rodgers & Leonore Weiss looks on. 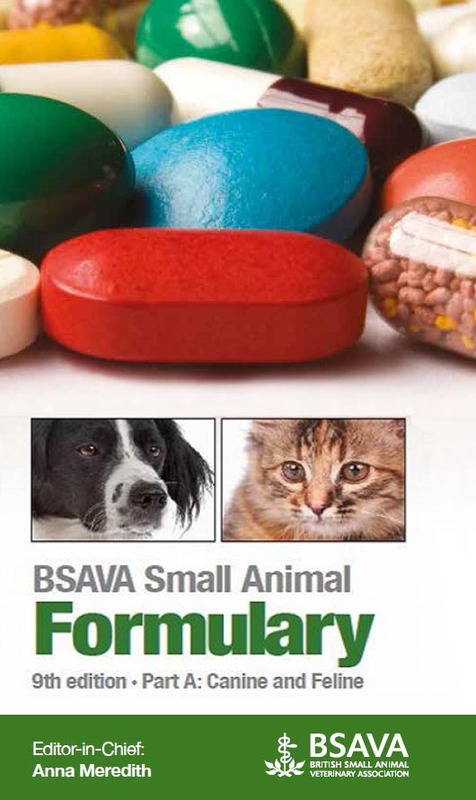 This project is ongoing and currently Ascendis Health (formerly CiplaVet) are the sponsors of the 9th edition of the BSAVA Small Animal Formulary.